Choosing the right tenant is the best way to protect your investment, maximize return on property and reduce risk. Unfortunately, over the past several years, many hard lessons have been learned in the property management sector and these are changing the tenant selection process. Today, more people have moved towards enhanced screening of prospective tenants with comprehensive and up-to-date information. For over 25 years, we have been the primary provider of credit reports to the property management industry. This experience has allowed us to develop an in-depth screening process that, when combined with our outstanding industry-specific database, can ensure you get the information you need to protect your investment. Best of all, our customers have experienced significant cost savings and other benefits by outsourcing their research and investigative processes to Quality Credit Reporting. 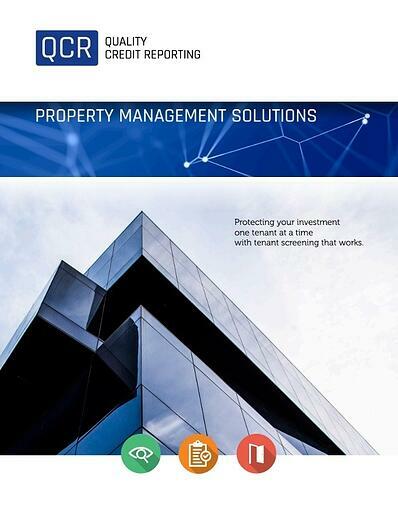 Find out more about our credit reporting products for Property Management and how the reports can help you select the right tenants for your property.